La cinéaste libanaise Jocelyne Saab est décédée le 7 janvier 2019 des suites d’une longue maladie. Elle laisse derrière elle une œuvre monumentale et l’exemple d’une carrière éblouissante, au plus proche des fractures historiques qui ont déchiré son pays et sa région du monde, toujours du côté de la résistance et de la liberté. Un témoignage indispensable pour l’histoire et nécessaire pour repenser l’écriture de l’histoire des images. When a hero lets you down, the betrayal lasts forever. I’m not alone, I know, when I say that Richard Goldstone was a hero of mine – a most formidable, brilliant and brave judge who finally spoke truth to power in the Middle East. And then recanted like a frightened political prisoner, with protestations of love for the nation whose war crimes he so courageously exposed. Now, after years of virtual silence, the man who confronted Israel and Hamas with their unforgivable violence after the 2008-09 Gaza war has found a defender in a little known but eloquent academic. Judge Goldstone, a Jewish South African, was denounced by Israelis and their supporters as “evil” and a “quisling” after he listed the evidence of Israel’s brutality against the Palestinians of Gaza (around 1,300 dead, most of them civilians), and of Hamas’ numerically fewer crimes (13 Israeli dead, three of them civilians, plus a number of Palestinian “informer” executions). Terris is eminently fair. Perhaps he is too fair. He treats far too gently the column that Goldstone wrote for the Washington Post, in which the judge effectively undermined the research and conclusions of his own report that he and three others wrote about the Gaza war. The book recalls how Richard Falk, a Princeton law professor and former UN rapporteur on human rights in Gaza and the West Bank, described Goldstone’s retraction as “a personal tragedy for such a distinguished international civil servant”. I think Falk was right. JTA — For the first time, Israel announced that Jewish immigrants to Israel were outnumbered by non-Jewish immigrants. Les deux pays exécutent une décision annoncée en octobre 2017 en réponse à plusieurs résolutions de l’organisation qu’ils jugent « anti-israéliennes ». L’Unesco regrette ces deux retraits mais minimise leurs impacts. Certains observateurs craignent qu’au-delà d’affaiblir politiquement l’Unesco, ces deux retraits entament sérieusement le budget de l’organisation. Un diplomate bien informé balaye cet argument de la main et rappelle que les États-Unis et Israël ne payent plus leur cotisation obligatoire depuis 2011. Leur dette auprès de l’organisation s’élève ainsi à 620 millions de dollars pour les États-Unis et 10 millions de dollars pour Israël. In recent weeks, a small group of ultra-Orthodox Jews has been gathering alongside a locked iron gate on Nablus Road in the East Jerusalem neighborhood of Sheikh Jarrah. They pray and protest alongside the shuttered gate, periodically squabbling with the Palestinian guard, demanding to be allowed inside to pray. The guard refuses, and refers them to the body that owns and administers the site – the French Consulate of Jerusalem. These protests are yet another round in a long-standing historic struggle over control of one of the most beautiful archaeological sites in Jerusalem, which has been closed to the public for years. On the one side stands the government of France and on the other, Haredi and right-wing Israeli factions. Israel’s Antiquities Authority is in favor of opening the site to the public, but does share the French concerns that the site might befall the same fate of many other archaeological sites in the city, which were transformed from mere archaeology and tourism sites into holy sites and then appropriated from the public’s domain. The Tomb of the Kings, situated between the Jerusalem District Court and the American Colony Hotel, is considered the grandest burial compound in Jerusalem. The site includes a sophisticated burial cave that has a mechanism for sealing the entrance by means of a stone that rotates on a hinge. It includes a mammoth courtyard carved into the bedrock, a staircase carved into the bedrock that is the second largest in Jerusalem – the only one larger is on the Temple Mount – stone-inscribed ornamentation, an ancient mikveh (Jewish ritual bath) and cisterns. The site has been dated to the Second Temple period, and there are various traditions and theories regarding who is actually buried there. According to one tradition, it was the place of burial of Kalba Savua, the father-in-law of Rabbi Akiva, or of Nicodemus ben Guryon – two of the wealthier residents of Jerusalem at the start of the 1st millennium CE. The historian Josephus Flavius wrote that this was the burial place of Queen Helena of Adiabene, who converted to Judaism around the year 30 C.E., and some of the site’s investigators say it is reasonable to believe that this is indeed her tomb. An ornamented sarcophagus found here was inscribed with the legend, “Tzadan Malkata,” which is believed to refer to Queen (Malka) Helena. This reinforces the notion that buried on this site were other members of her royal family. The site gained fame in the late 19th century, and among its visitors were the German Kaiser Wilhelm II and Theodore Herzl. The Tomb of the Kings is interwoven into the history of archaeology in Israel. The excavation conducted by Félicien de Saulcy in 1863 is considered the first modern archaeological dig in the country. It is also the first excavation to receive a digging permit from the Turkish sultan. But along with modern archaeology, the protest against it was also born here. “This was the first official archaeological excavation, and also the first time in which the Jews of Jerusalem rose up against the excavation of ancestral graves,” writes a scholar who has studied the site, Dr. Dotan Goren. In the wake of the Orthodox Jews’ public protests in the city and pressure from the Jews on the sultan, those excavations were suspended. To the dismay of the city’s Jews, de Saulcy managed to load the queen’s sarcophagus onto a ship anchored in Jaffa port, and it is to this day displayed at the Louvre Museum. Several years ago, it appeared as part of a temporary exhibition in the Israel Museum. Eight years later, however, one of Bertrand’s heirs granted the site as a gift to the government of France. At the time of the conferral of the gift, an agreement was signed between the French government and the family, under which France committed to meet several conditions. One was to erect a sign in Hebrew, French and Arabic saying that these are the Tombs of the Kings of Judah. The large sign, made of copper, can still be found set into the wall of the building. A few testimonies describe how the site served for prayer and pilgrimage, although it is altogether clear that it was secondary in importance to the neighboring holy site, the cave of Shimon Hatzadik. But in any event, following the battles of 1948, the site was left behind the enemy lines, within the territory of the Jordanian kingdom. “This site was forgotten or made to be forgotten, and there was no one to tell about it,” says Goren. 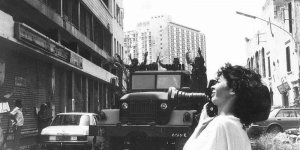 Following 1967’s Six-Day War, the site continued to be administered by the French consulate in Jerusalem. Most of the time, it was open to visitors, for a token entry fee. Ten years ago the consulate held a concert there, together with the Palestinian cultural organization Yabous, which advocates a boycott of Israel. Apparently that is what has sparked a renewed interest in the site. In 2014, the rabbinical court for “hekdesh” (sacred property) affairs appointed Yitzhak Mamo and Yaakov Saltzman as emissaries of the court in the matter of the Tomb of the Kings sacred property. Mamo is a well-known right-wing activist in East Jerusalem who for years has been engaged in the evacuation of Palestinian families and the resettlement of Jews in Sheikh Jarrah. In 2015, the two men filed a suit in the rabbinical court against the government of France, with a plea to gain possession of the site. The lawsuit sparked outrage in Paris and in the French consulate in Jerusalem, as well as in the Israeli Ministry of Foreign Affairs. A letter sent to the court by David Goldfarb of the ministry’s legal department stated that according to the Vienna Convention on Diplomatic Relations, to which Israel is a signatory, consulate employees are not subject to the rulings of a rabbinical court. “The Ministry of Foreign Affairs also wishes to inform the honorable court that in response to bringing the lawsuit in this case, our office has received a sharply worded letter from the government of France,” Goldfarb wrote. The Israeli attorney general also sided with the French, and in a legal opinion submitted to the court, he argued that it was not at all clear that the site can be considered a hekdesh, since the hekdesh was created by the chief rabbi of Paris and not by the Sharia court in Jerusalem, which had been entrusted with the authority to rule on sacred property issues in the city during the period of Ottoman rule. In the wake of these developments, the religious court in Jerusalem rejected the suit. The French subsequently announced the closure of the site for renovations. In recent years, there has been practically no opportunity to visit the site. According to parties involved in the matter, the French consulate has invested about 900,000 euros (about $790,000) in a renovation that included construction of a steel apparatus to reinforce the central structure in the event of earthquake, construction of a new stairway, and preservation work. In September 2018, the consulate informed the Israeli Foreign Ministry that the work had been completed and that it was now possible to reopen the site. However, the French imposed two conditions: one, that Israel officially recognize French ownership of the site, and two, that they be assured no new lawsuits would be brought against them. Foreign Ministry officials have reported that discussions on the matter are now underway. In the meantime, the place remains closed and the protests have begun again. This time around, it was a group of Haredim led by Rabbi Zalman Grossman of Jerusalem that began to arrive on site twice a week and protest its closure by means of prayers and demonstrations. The protest has gained the support of the rabbi of the Western Wall and the holy sites, Shmuel Rabinovich, and of the chief rabbi of Jerusalem, Shlomo Amar, as well as the Ministry of Religious Affairs. The demonstrations and the demands to be able to pray on the site have kindled fears among the French that if the site is reopened, it will take on a religious nature and essentially become an Israeli land grab under the French flag in East Jerusalem. As far as France is concerned, this would engender serious political complications with the Palestinians. The concerns of the French in this matter are shared by the Antiquities Authority’s Jerusalem district archaeologist, Dr. Yuval Baruch. “There is a trend of archaeological sites taking on a status of holiness, and the problem is if and when that happens, archaeology always loses out,” says Baruch. He is concerned about other sites, mainly in the Old City, archaeological-tourism sites that have in the past few years been converted into religious sites, where visitors not coming for ritual purposes do not always feel welcome. The phenomenon, incidentally, is not exclusive to Orthodox Jews. This has happened, for instance, in a large section of the Jerusalem Archaeological Park-Davidson Center, south of the Western Wall, which has been turned into the “Ezrat Israel,” a prayer section earmarked for the non-Orthodox streams of Judaism. It is happening on the Hulda steps that ascend to the Temple Mount from the south, which have become a popular prayer site among evangelical Christians. The evangelicals have also adopted the Siloam Pool in Silwan. The plaza just outside Tanner’s Gate, not far from the Western Wall, has become the province of bar mitzvah organizers, and the archaeological site at Nebi Samuel in northern Jerusalem has become a site for prayer and pilgrimage. The Warsaw Ghetto Museum, which the Polish government decided to establish eight months ago, is now at the center of a debate. Haaretz’s Ofer Aderet, in his article about the Warsaw museum, mainly discussed the political perspective, giving considerable space to the criticisms by Prof. Hava Dreifuss, a Yad Vashem historian. Dreifuss assailed the Warsaw museum and those who decided, despite all the problems, to take on a project whose importance is hard to overstate. This criticism deserves a response. First, the political context. There’s no more appropriate response to Dreifuss’ criticism than the old saying that people who live in glass houses shouldn’t throw stones. 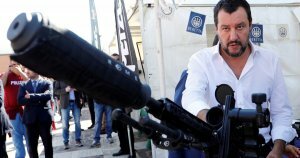 Dreifuss works for an institution that in recent years has functioned as a hard-working laundromat, striving to bleach out the sins of every anti-Semitic, fascist, racist or simply murderously thuggish leader or politician like Hungary’s Viktor Orban, the Philippines’ Rodrigo Duterte and Italy’s Matteo Salvini. My heart breaks when I see my colleagues, honest and faithful researchers of the Holocaust, giving tours of this historic museum, apparently under compulsion, to the evildoers the Israeli government sends to Yad Vashem to receive absolution in the name of Holocaust victims in exchange for adding a pro-Israel vote at international institutions. For some reason, Dreifuss has no criticism about this. But for the Polish government (every Polish government, both the current one headed by the nationalist Law and Justice party and the previous one headed by a liberal centrist coalition), which is spending tens of millions of zlotys every year to preserve historical Jewish sites, Jewish graveyards and countless memorials, she has scathing criticism. A week and a half ago, Matti Friedman published an opinion piece in The New York Times about what’s happening at Yad Vashem, and it made for difficult reading. When you read his conclusions, your hair stands on end. He doesn’t quote a single Yad Vashem employee by name, because no one wanted to be identified. After all, they have to earn a living. Friedman described a mood of frustration, fear and demoralization among the employees because the current extremist, nationalist government has turned Yad Vashem into a political tool reminiscent of history museums in totalitarian countries. But the most astonishing thing Friedman reported is that the institution’s chairman, Avner Shalev – who turned the museum into an international remembrance empire, and who for years has viciously fought every attempt to present a different conceptual or research approach than that of Yad Vashem – is reluctant to retire, despite having reached the age of 80. The reason for his reluctance is that many people at the institute fear that when he leaves, his place will be taken by someone nominated by the relevant minister, Education Minister Naftali Bennett, who will turn Yad Vashem into a remembrance institute in the spirit of Bennett’s Habayit Hayehudi party. It would be interesting to know what Dreifuss thinks about that. Yad Vashem is now paying the price of the many years in which it nurtured a one-dimensional, simplistic message that there’s only one way to explain the Holocaust. Today, the institution is apparently willing to place its reputation for Holocaust research, which it has built over many years, at the service of a government that has recruited it to accuse anyone who criticizes Israel of anti-Semitism. So it’s no wonder that its researchers have become partisan explainers of the Holocaust. It’s one thing when, at dubious conferences with political leaders whose governments include former neo-Nazis, Prime Minister Benjamin Netanyahu tries to pass resolutions calling criticism of Israel the new anti-Semitism. It’s another when a research and remembrance institute doesn’t stand courageously against all such attempts. Thus Yad Vashem would do better not to look for evidence that other governments are attempting to distort history and dictate nationalist content – not to mention engaging in Holocaust denial, as Dreifuss charges. Does any of the above justify the current Polish government’s position on the Holocaust? Obviously not. The Polish government has a problematic agenda in explaining the past, which we aren’t obligated to accept and in fact should even criticize. But Poland’s government hasn’t interfered with the work of the museum’s employees, who have now started working, and certainly not with the development of the museum’s narrative. Had Dreifuss and her colleagues gotten involved in this effort, as they were invited to do, they would have been welcomed. Had Yad Vashem offered its help and support instead of giving the project the cold shoulder, nobody would have been happier than we at the museum. And now we come to the historical issue. To take part in the effort to establish the Warsaw Ghetto Museum, one has to agree that the Holocaust can be presented and explained from perspectives other than an ethnocentric Jewish, Zionist and nationalist one. One has to accept that the Holocaust can be studied in a way that sees Jewish history during this period as an integral part of Poland’s history under the Nazi occupation. One has to agree that the horrific Jewish tragedy that occurred during World War II can and should be understood in part by simultaneously examining – while noting both the differences and the common elements – what befell Poles, Roma, Soviet prisoners of war and others who were murdered alongside Jews in the vast genocidal expanse that occupied Poland became. To set up a museum with a humanist, universal and inclusive message about the Holocaust, one has to accept an approach that sees the Warsaw Ghetto – a horrific terror zone that caused the deaths and physical and spiritual collapse of hundreds of thousands of Jews – as one element of a much bigger terror zone in which hundreds of thousands of other people suffered and fought for their existence: the Poles who lived on the other side of the wall. The obvious differences between the fates of these two peoples don’t absolve the research historian, or a museum depicting the history of this period, from presenting this complex message and demanding that visitors to the museum grapple with its lessons. Therefore, the new Warsaw Ghetto Museum won’t be Yad Vashem. It will be a Holocaust museum in the heart of the Polish capital that remembers the fate of the 450,000 Jews, Warsaw residents and refugees brought to the ghetto. After all, the vast majority of them were Jewish citizens of Poland. That’s how they lived, that’s how they suffered, and that’s how they should be remembered after being murdered by the Nazis. Prof. Daniel Blatman is a historian at the Hebrew University of Jerusalem and the chief historian for the Warsaw Ghetto Museum. Eight European Union member states issued on Tuesday their starkest warning ahead of the publication of U.S. President Donald Trump’s long-awaited Middle East peace plan. The joint statement by France, the Netherlands, Poland, Sweden, the United Kingdom, Belgium, Germany and Italy follows a United Nations Security Council session on the situation in the region during which outgoing U.S. Ambassador Nikki Haley praised the “thoughtful” plan. The member states added that the EU “will continue to work towards that end with both parties, and its regional and international partners”, and called for restring “a political horizon” on this issue. 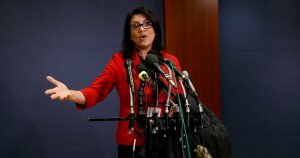 Nikki Haley said earlier Tuesday that the proposed U.S. plan to broker peace between Israel and the Palestinians “brings new elements to the discussion, taking advantage of the new world of technology that we live in.” However, she gave no details of what was in the plan. A Senate bill aims to punish those who boycott Israel over its settlement policy. There are better solutions. One of the more contentious issues involving Israel in recent years is now before Congress, testing America’s bedrock principles of freedom of speech and political dissent. It is a legislative proposal that would impose civil and criminal penalties on American companies and organizations that participate in boycotts supporting Palestinian rights and opposing Israel’s occupation of the West Bank. The aim is to cripple the boycott, divestment and sanctions movement known as B.D.S., which has gathered steam in recent years despite bitter opposition from the Israeli government and its supporters around the world. The proposal’s chief sponsors, Senator Ben Cardin, a Maryland Democrat, and Senator Rob Portman, an Ohio Republican, want to attach it to the package of spending bills that Congress needs to pass before midnight Friday to keep the government fully funded. The American Israel Public Affairs Committee, a leading pro-Israel lobby group, strongly favors the measure. J Street, a progressive American pro-Israel group that is often at odds with Aipac and that supports a two-state peace solution, fears that the legislation could have a harmful effect, in part by implicitly treating the settlements and Israel the same, instead of as distinct entities. Much of the world considers the settlements, built on land that Israel captured in the 1967 war, to be a violation of international law. Although the Senate sponsors vigorously disagree, the legislation, known as the Israel Anti-Boycott Act, is clearly part of a widening attempt to silence one side of the debate. That is not in the interests of Israel, the United States or their shared democratic traditions. Critics of the legislation, including the American Civil Liberties Union and several Palestinian rights organizations, say the bill would violate the First Amendment and penalize political speech. The hard-line policies of Israel’s prime minister, Benjamin Netanyahu, including expanding settlements and an obvious unwillingness to seriously pursue a peace solution that would allow Palestinians their own state, have provoked a backlash and are fueling the boycott movement. It’s not just Israel’s adversaries who find the movement appealing. Many devoted supporters of Israel, including many American Jews, oppose the occupation of the West Bank and refuse to buy products of the settlements in occupied territories. Their right to protest in this way must be vigorously defended. The same is true of Palestinians. They are criticized when they resort to violence, and rightly so. Should they be deprived of nonviolent economic protest as well? The United States frequently employs sanctions as a political tool, including against North Korea, Iran and Russia. They are especially concerned that the United Nations Human Rights Council is compiling a database of companies doing business in the occupied territories and East Jerusalem, a tactic Senate aides say parallels the Arab League boycott. But there are problems with their arguments, critics say. The existing law aimed to protect American companies from the Arab League boycott because it was coercive, requiring companies to boycott Israel as a condition of doing business with Arab League member states. A company’s motivation for engaging in that boycott was economic — continued trade relations — not exercising free speech rights. By contrast, the Cardin-Portman legislation would extend the existing prohibition to cover boycotts against Israel and other countries friendly to the United States when the boycotts are called for by an international government organization, like the United Nations or the European Union. Neither of those organizations has called for a boycott, but supporters of Israel apparently fear that the Human Rights Council database is a step in that direction. Watch Oscar-nominated short documentaries from around the world made for you. Civil rights advocates, on the other hand, say that anyone who joins a boycott would be acting voluntarily — neither the United Nations nor the European Union has the authority to compel such action — and the decision would be an exercise of political expression in opposition to Israeli policies. Responding to criticism, the senators amended their original proposal to explicitly state that none of the provisions shall infringe upon any First Amendment right and to penalize violators with fines rather than jail time. While the sponsors say their bill is narrowly targeted at commercial activity, “such assurances ring hollow in light of the bill’s intended purpose, which is to suppress voluntary participation in disfavored political boycotts,” the A.C.L.U. said in a letter to lawmakers. In a properly functioning Congress, a matter of such moment would be openly debated. Instead, Mr. Cardin and Mr. Portman are trying to tack the B.D.S. provision onto the lame-duck spending bill, meaning it could by enacted into law in the 11th-hour crush to keep the government fully open. The anti-B.D.S. initiative began in 2014 at the state level before shifting to Congress and is part of a larger, ominous trend in which the political space for opposing Israel is shrinking. After ignoring the B.D.S. movement, Israel is now aggressively pushing against it, including branding it anti-Semitic and adopting a law barring foreigners who support it from entering that country. Any anti-boycott legislation enacted by Congress is also likely to face a court challenge. It would be more constructive if political leaders would focus on the injustice and finding viable solutions to the Israeli-Palestinian conflict rather than reinforcing divisions between the two parties and promoting legislation that raises free speech concerns. Il faut se souvenir que le soulèvement des « gilets jaunes » est parti d’une augmentation insupportable du prix du carburant liée aux taxes, mais aussi aux fluctuations du marché pétrolier. La situation politique et sociale dans toute l’Europe a aussi été marquée par la révolte des classes populaires paupérisées à la suite des gigantesques flux migratoires causés par les guerres civiles qui ont suivi les printemps arabes. Témoignage de Pierre Garzon, vice-président du Conseil départemental du Val-de-Marne. L’article Violences policières : un élu raconte est apparu en premier sur BALLAST. The firing of Professor Marc Lamont Hill as a CNN contributor after his speech at a United Nations event commemorating the International Day of Solidarity with the Palestinian People has generated considerable debate about free speech that goes beyond the case itself—what is legitimate criticism of Israel, and what constitutes anti-Semitism. A recent University of Maryland public-opinion poll indicates that many aspects of Hill’s views are widely shared among the American public—and that these views are not reflective of anti-Semitic attitudes, or even of hostility toward Israel as such. On these issues, there is a gap between the mainstream media and U.S. politicians on the one hand, and the American public on the other. While many issues were raised about Hill, the part of his speech that received the most criticism was his call for a “free Palestine from the river to the sea,” which was seen by some as calling for the end of Israel. Hill himself clarified almost immediately that “my reference to ‘river to the sea’ was not a call to destroy anything or anyone. It was a call for justice, both in Israel and in the West Bank/Gaza.” In an op-ed he penned later, he acknowledged that the language he chose may have contributed to the misperception that he was advocating violence against Jewish people—and apologized for that. The French president can make all the concessions he wants, but he can’t make the public like him. But, perceptions aside, are Professor Hill’s views exceptional? The first issue to consider is advocacy for a one-state solution, from the Jordan River to the Mediterranean Sea, with equal citizenship for all, which would in effect threaten Israel’s status as a Jewish-majority state, as Arabs might soon outnumber Jews on that territory. In fact, this solution has considerable support among the American public, as revealed in a University of Maryland Critical Issues Poll, fielded by Nielson Scarborough, which was conducted in September and October among a nationally representative sample of 2,352 Americans, with a 2 percent margin of error. When asked what outcome they want U.S. President Donald Trump’s administration to seek in mediating the Israeli-Palestinian conflict, Americans are split between one state with equal citizenship and two states coexisting side by side: 35 percent say they want a one-state solution outright, while 36 percent advocate a two-state solution, 11 percent support maintaining the occupation, and 8 percent back annexation without equal citizenship. Among those between 18 and 34 years old, support for one state climbs to 42 percent. Furthermore, most of those who advocate a two-state solution tend to choose one state with equal citizenship if the two-state solution were no longer possible; the last time the survey asked this question, in November 2017, 55 percent of two-state solution backers said they would switch to one state in such circumstances. Bolstering this result is Americans’ views on the Jewishness and democracy of Israel: If the two-state solution were no longer possible, 64 percent of Americans would choose the democracy of Israel, even if it meant that Israel would cease to be a politically Jewish state, over the Jewishness of Israel, if the latter meant that Palestinians would not be fully equal. When one considers that many Israelis and Palestinians, as well as many Middle East experts, already believe that a two-state solution is no longer possible, especially given the large expansion of Israeli settlements in the West Bank, it’s not hard to see why more people would be drawn to a one-state solution—or see the advocacy for two states as legitimizing the unjust status quo through the promise of something unattainable. Second, while most Americans have probably never heard of the Boycott, Divestment, Sanctions (BDS) movement that Hill backs, our poll shows that a large number of Americans support imposing sanctions or more serious measures if Israeli settlements in the West Bank continue to expand: 40 percent of Americans support such measures, including a majority of Democrats (56 percent). This comes as senators, including Democrats, are proposing, despite continued ACLU opposition, to delegitimize and criminalize voluntary boycotts of Israel or settlements through the Israel Anti-Boycott Act, while not differentiating between Israeli settlements in the West Bank from those in Israel proper. Third, there is a growing sense that the Israeli government has “too much influence” on U.S. politics and policies: 38 percent of all Americans (including 55 percent of Democrats, and 44 percent of those under 35 years old), say the Israeli government has too much influence on the U.S. government, compared with 9 percent who say it has “too little influence” and 48 percent who say it has “about the right level of influence.” While the number of Jewish participants in the sample (115) is too small to generalize with confidence, it is notable that their views fall along the same lines of the national trend: 37 percent say Israel has too much influence, 54 percent say it has the right level, and 7 percent say it has too little influence. These results indicate neither a rise in anti-Semitism nor even a rise in hostility toward Israel as such. As analysis of previous polls has shown, many who espouse these opinions base them on a principled worldview that emphasizes human rights and international law. Keep in mind that, in a polarized America with deep political antagonism, it’s hardly surprising that Americans would have sharply divided views on Israelis and Palestinians. What many read as a rising anti-Israeli sentiment among Democrats is mischaracterized; it reflects anger toward Israeli policies—and increasingly, with the values projected by the current Israeli government. Les autorités égyptiennes restreignent la vente de gilets jaunes par peur d’une envie de l’opposition de copier les « gilets jaunes » français. El-Sissi a récemment accusé la révolution de 2011 d’avoir entraîné son pays dans une crise à la fois économique et politique. Les manifestations sont sensées être interdites en Égypte et El-Sissi rappelle souvent que la dureté est nécessaire à la stabilité du pays. Depuis son arrivée au pouvoir, il n’y a pas eu de grande manifestation dans le pays malgré la crise. Toward the end of 2009, an Egyptian blogger announced the imminent publication of his book, A Muslim Atheist. The title is reflective of a concept he believes in, based on his experiences: he isn’t Muslim currently; he used to be, but then he became an atheist. However, after a while, he found himself not entirely sure about the non-existence of God; thus, he was no longer fully an atheist. He is pragmatic, and such pragmatism has led him to live life as he wishes, as if God doesn’t exist, but without completely excluding the possibility that he might. But for Egyptian society, he will always be Muslim. To declare himself an atheist within his social circles would bring about consequences he could not bear; he would be unable to marry a Muslim or a Christian, and would likely forfeit his inheritance. The issuing of legal documents like marriage certificates and death certificates, as well as things like child custody and inheritance, are all determined based on Egypt’s personal status laws, which are faith based and subject to religious dictates from Al-Azhar and recognised churches. Therefore, anyone who is not officially affiliated with one of the three Abrahamic religions is likely to experience difficulties regarding such matters. I met Ahmed Montaser (the Muslim atheist blogger) in late 2009 in Tanta. This small town is not far from the city of Damanhour, where Abdel Karim Nabil (writing under the blogger name Karim Amer) — a student at Al-Azhar University, who is known as the “Azhari atheist” — is from. Nabil perhaps wasn’t as pragmatic as Montaser, and the distribution of his writing among fellow students landed him in prison from 2007 until 2010, on charges of insulting Islam and the president of the republic. Montaser and Nabil were among only a few who wrote under their real names and cases such as Nabil’s have since encouraged other atheists to be even more cautious, with many using pseudonyms to avoid meeting the same fate. It’s no secret that American Jews and their Israeli counterparts have less in common with every passing day. But where you locate the source of that chasm depends on which side of the Atlantic you’re standing on. For American Jews, Israel’s dispossession of Palestinian civil rights, the monopoly of the ultra-Orthodox over religious matters, and the increasing commitment to ethno-nationalism over civil rights have chipped away at erstwhile unconditional support for the Jewish State. The tactic of disparaging Diaspora Jews in order to fend off criticism is by now routine among Israeli politicians. Bennett’s analysis seems wrong to me on two counts. Not only are two-thirds of intermarried couples raising their children Jewish, but young Jews are far from apathetic about Israel; they are passionate in their criticism of its failures to ensure religious liberty and civil rights, a passion that stems directly from what they see as their Jewish values. But Bennett, the head of the national religious Jewish Home party, was always a curious choice for Diaspora Affairs Minister. With his us-versus-them attitude to Palestinians, he epitomizes the kind of ethno-nationalist view of Judaism that American Jews have moved away from — and are increasingly eager to criticize. Our meeting took place on a Tuesday evening in Jerusalem. Wearing his trademark coin-sized knitted yarmulka and a navy suit, Bennett was friendly, even patient as I asked him the same questions over and over, living up to his reputation as a “bro” and setting aside his usual approach of belittling Diaspora Jews in favor of a more conciliatory one. It brought home the fact that his two roles — as head of the Jewish Home and Diaspora Affairs Minister — were in tension with each other; those of Bennett’s views which were most anathema to me are the very ones most likely to help him politically at home, something I was keenly aware of throughout our interview. The following transcript has been very slightly edited for clarity. You can find a key to some of the terms at the bottom. The alliance between Palestinian citizens of Israel and the Jewish left has historically been viewed as a threat to the rule of the right. That’s why Netanyahu is doing everything he can to undermine it. The Israeli right knows exactly how to harm the left: by making its alliance with Palestinian citizens not only impossible but illegitimate, thus drawing away its power. The Jewish left, for its part, has historically done enough to undermine this alliance. But recent events have created new possibilities — and that’s why the right is coming out with guns blazing. This dynamic is currently playing out in Haifa, where in the recent municipal elections, newly-elected Mayor Einat Kalisch-Rotem appointed Raja Zaatry, a veteran activist from the Jewish-Arab Hadash party, to be her deputy. Kalisch-Rotem, who defeated incumbent Yona Yahav from the Labor Party, was elected with the support of the left and the ultra-Orthodox community. In early December, she announced her coalition, which excluded the right-wing Likud, and included the Haredi party, Hadash, and Meretz. Then, on Dec. 4, Makor Rishon, the newspaper of Israel’s religious-nationalist community, published an article on Zaatry, which painted him as a supporter of BDS and a Hezbollah sympathizer who previously compared Israel to ISIS. The furor came almost immediately. Interior Minister Aryeh Deri demanded Kalisch-Rotem walk back from her decision, while Prime Minister Netanyahu opened his weekly cabinet meeting by discussing Zaatry. Yair Lapid, who in the eyes of many Israelis has come to represent an opposition to the Netanyahu government, decried Zaatry’s appointment on Facebook. On Wednesday afternoon, Netanyahu even phoned the mayor in an attempt to persuade her to change her mind. Kalisch-Rotem, however, made clear to him that her coalition agreement would remain unchanged. The controversy might appear like a tempest in a teapot, but it is evidently enough to concern both Netanyahu and Lapid. Kalisch-Rotem’s coalition, it turns out, is a threat to the right’s rule in Israel. 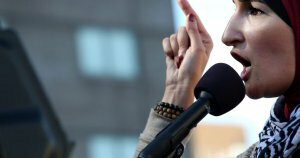 There is nothing earth-shattering about seeing Women’s March leader and Arab-American activist Linda Sarsour criticized as a dangerous Islamist by the conservative right and pro-Israel advocates in the United States. But the latest attack on the activist comes from a new and somewhat surprising source: Saudi Arabia. #Al_Arabiya, a Saudi-owned, pan-Arab news channel closely linked to the country’s royal family and widely viewed as reflecting Saudi foreign policy, published an article Sunday strongly suggesting that Sarsour and two incoming Muslim congresswomen are puppets planted by the Muslim Brotherhood and Qatar to undermine the Trump administration. C’est une attaque particulièrement grave contre notre liberté d’expression qui est en train de se jouer entre Tel-Aviv, Vienne, Bruxelles, …et Paris.Le Conseil européen, qui réunit jeudi et vendredi prochains les chefs d’État et de gouvernement de l’Union européenne, s’apprête à donner son aval à une « Déclaration pour renforcer la lutte contre l’antisémitisme et la protection des communautés juives en Europe » : jusqu’ici, rien à redire évidemment, la lutte contre l’antisémitisme comme contre les autres formes de racisme est une cause que nous partageons.Mais c’est aussi l’occasion d’introduire insidieusement un appel aux États membres d’adopter la « définition IHRA » de l’antisémitisme. Une définition indigente sur le fond, mais qui est « illustrée » par des « exemples », dont l’objectif est d’assimiler à l’antisémitisme toute critique visant l’État d’Israël et sa politique. Sa mise en œuvre met en danger la liberté d’expression et de réunion, comme le montre l’exemple du Royaume-Uni dont le gouvernement a « adopté » la définition IHRA en 2016.C’est une définition contre laquelle la Commission nationale consultative des droits de l’Homme (CNCDH), dans son rapport annuel publié en mai 2018, a pris clairement position, au nom de l’universalité de la lutte contre le racisme et du caractère très problématique de cette définition et des exemples associés.Le gouvernement israélien a été particulièrement actif sur la mise au point de cette déclaration, pendant 5 mois de négociations secrètes, sous la présidence autrichienne de l’UE. Appel à action : le Conseil européen doit rejeter la « définition IHRA » de l’antisémitisme ! Sous la pression de lobbys favorables au gouvernement israélien à Bruxelles, un projet de résolution « pour la lutte contre l’antisémitisme et la protection des communautés juives en Europe » sera soumis à la décision finale du Conseil européen « Justice et affaires intérieures » ce jeudi 6 décembre 2018. Ce projet demande aux États membres d’adopter la « définition IHRA » de l’antisémitisme qui assimile la critique de l’État d’Israël à de l’antisémitisme et vise à criminaliser les défenseurs des droits des Palestiniens. When the first Christian evangelical volunteers descended on the religious West Bank settlement of Har Bracha about 10 years ago, offering to harvest grapes for the local Jewish farmers free of charge, not everyone welcomed them with open arms. After all, for generations Jews had been taught that when Christians go out of their way to be nice, it is probably because they are secretly plotting to convert them, and, therefore, it’s best to keep a distance. Much has changed since then. There are still Jewish settlers not completely comfortable with the idea of Christians living in their midst and working their fields. But they are far less vocal these days. Hayovel, the U.S. organization that brings them to Har Bracha, is among a growing list of evangelical groups that operate exclusively in the so-called “biblical heartland.” Over the past decade, it has brought more than 1,700 volunteers to the settlements – and only the settlements because, as a matter of principle, its volunteers do not assist farmers within Israel proper. There were many years when Hayovel operated under the radar, believing that the less Israelis knew what it was up to, the better. No longer. These days, the nonprofit is more than happy to host journalists and the curious at its main campus, located on this settlement that overlooks the large Palestinian city of Nablus. Its willingness to be so aboveboard about its activities is evidence of how mainstream such interactions between Christian evangelicals and Jewish settlers have become. The Heart of Israel (also known as the Binyamin Fund) is another nonprofit benefiting from these ties. Established three years ago, the organization raises hundreds of thousands of dollars yearly for earmarked projects in the settlements, according to its American-born founder, Aaron Katsof. Asked what prompted him to set up this new fundraising organization, Katsof – who lives in the West Bank settlement of Shiloh – responds: “The more evangelicals I met over the years, the more I realized how thirsty they were to connect to the settlements. When they land in Tel Aviv, they often tell me that it isn’t how they imagined Israel. But when they come out here to the settlements, they say this is exactly how they imagined it. “They are our biggest, biggest, biggest, biggest allies,” he adds. Israeli Prime Minister Benjamin Netanyahu asked US President Donald Trump in a telephone conversation not to touch Saudi Crown Prince Mohammed bin Salman after the killing of journalist Jamal Khashoggi, the Israeli expert on Arab affairs, Jackie Khoji, said. The centrality of Israel to American Jewish identity has at times put liberal American Jews in an awkward position, defending multiethnic pluralism here, where they’re in the minority, while treating it as unspeakable in Israel, where Jews are the majority. 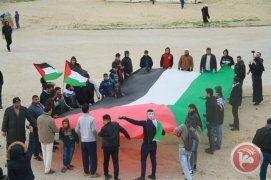 GAZA CITY (Ma’an) — Thirty-three Palestinians were injured during the 37th Friday of “The Great March of Return” along the eastern borders of the besieged Gaza Strip. A Ma’an reporter said large crowds of Palestinians gathered by the return camps near the eastern Gaza border, in order to participate in the weekly protests to break the ongoing Israeli siege. Israeli forces repeatedly fired live ammunition and tear-gas bombs directly towards protesters gathered near the Israeli security fence, which led to injuring 33 Palestinians. Sources added that Israeli snipers were deployed across the eastern border. The Hamas movement spokesperson, Hazem Qassem, said that the return marches reaffirm the rights of the Palestinian people against plans to “disregard” the Palestinian cause.